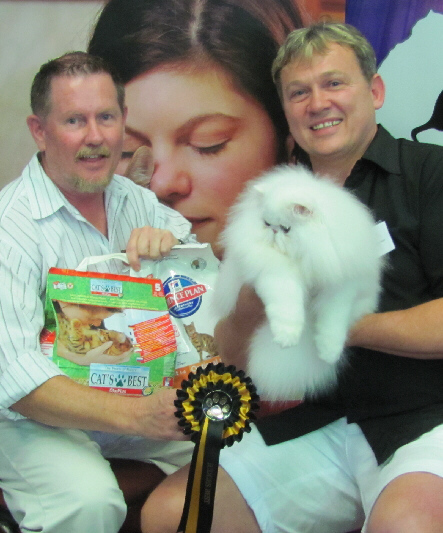 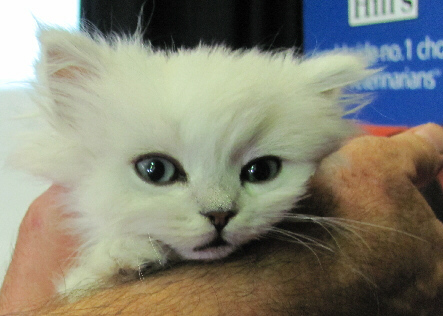 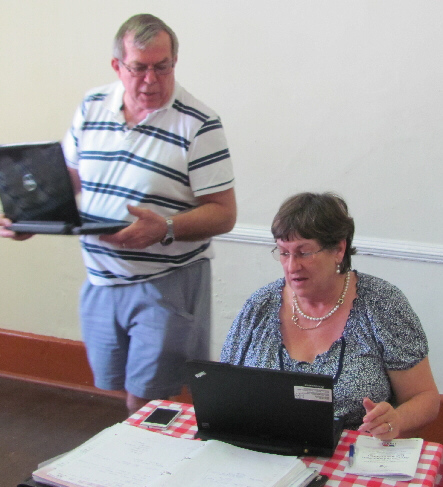 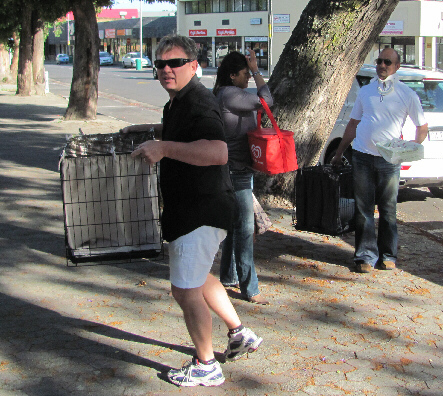 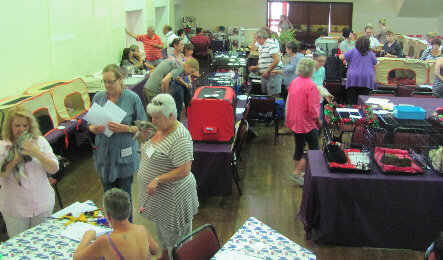 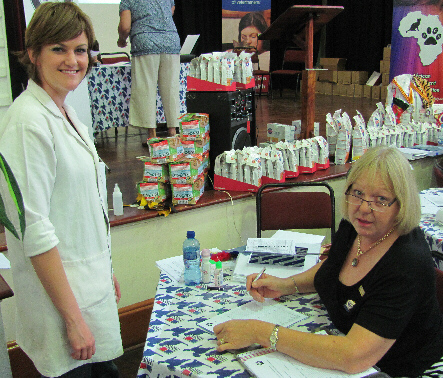 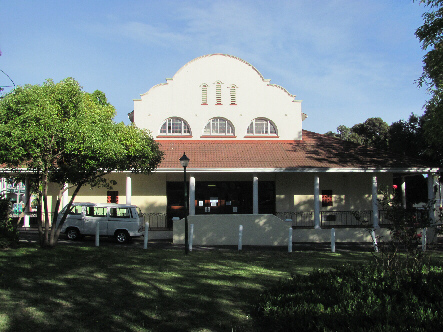 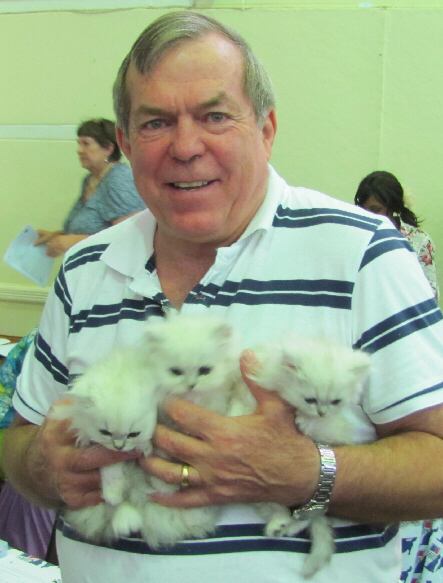 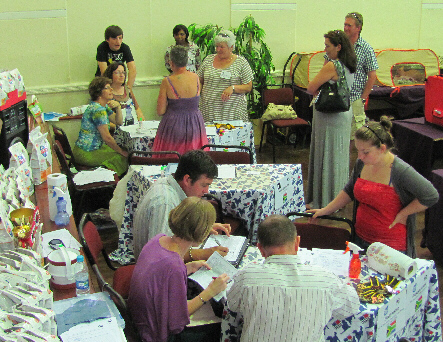 Show nr 18 was held on 1 December 2012 at the Durbanville Town Hall. 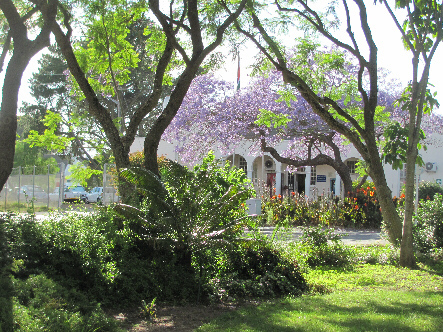 This is one of our favourate venues. 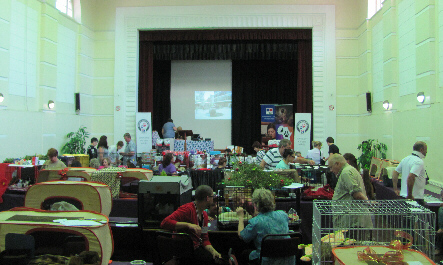 The show was followed by a CASA show later in the day, in the same hall. 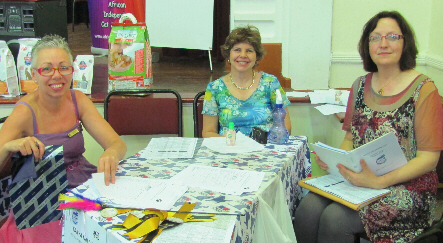 As always in Durbanville there was a great atmosphere and lots of visitors. 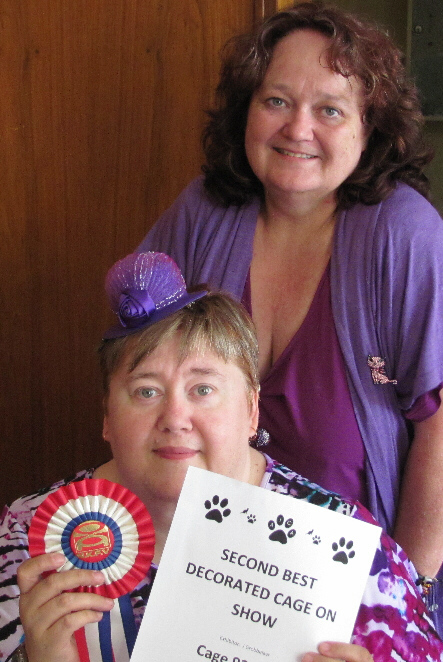 We had a special visitor all the way from London, UK. 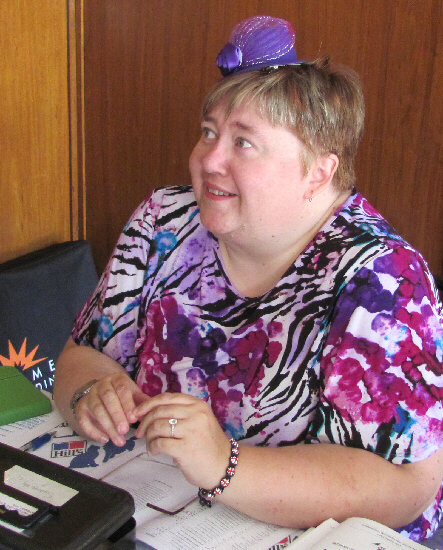 Gilly Wheatley is an honorary life member of CASA. 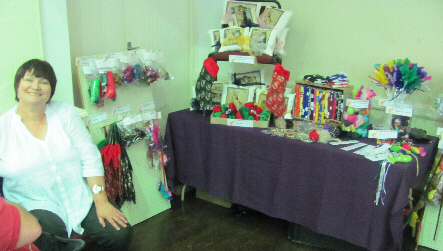 She decided to visit the special CASA Christmas show and was kind enough to take responsibility for the entrance table at the AICA show, as well as hand out the prizes. 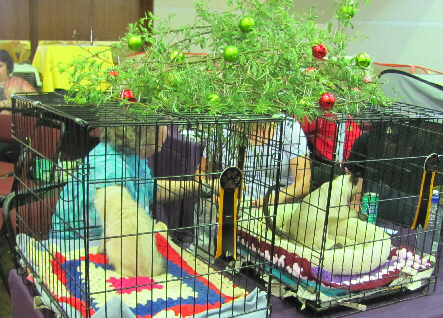 She also joined her friend, Jeanine Grobbelaar in decorating some of the best Christmas themed cages in the hall. 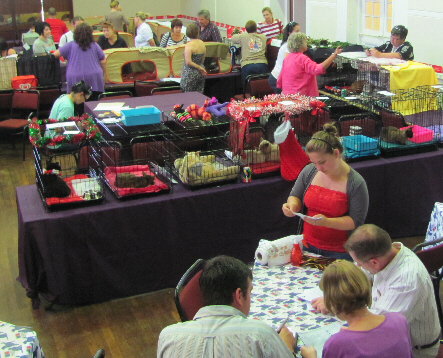 The Christmas theme was seen throughout the hall and added to the festive athmosphere. 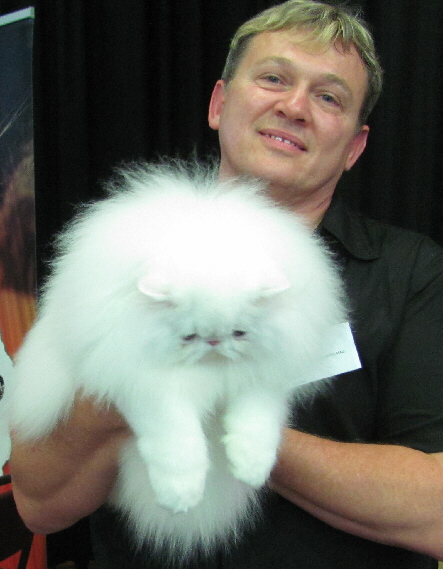 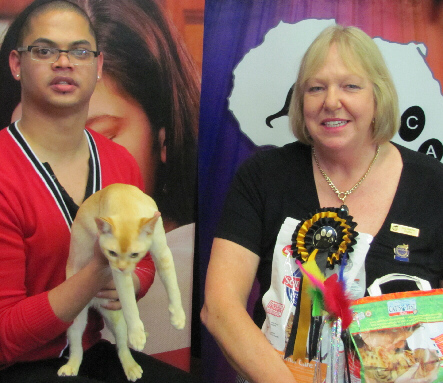 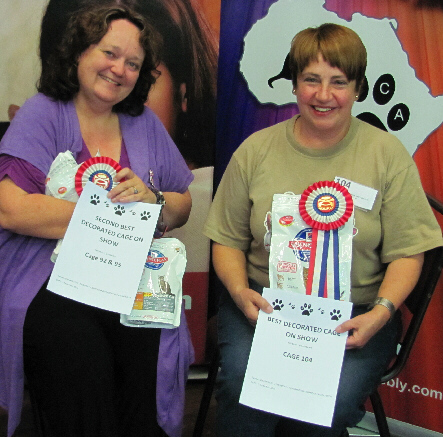 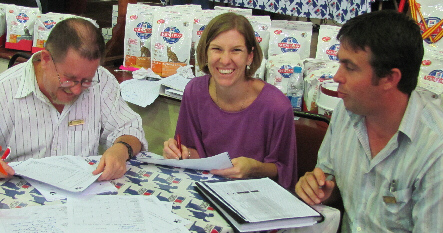 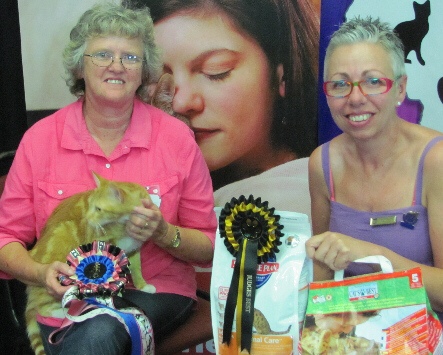 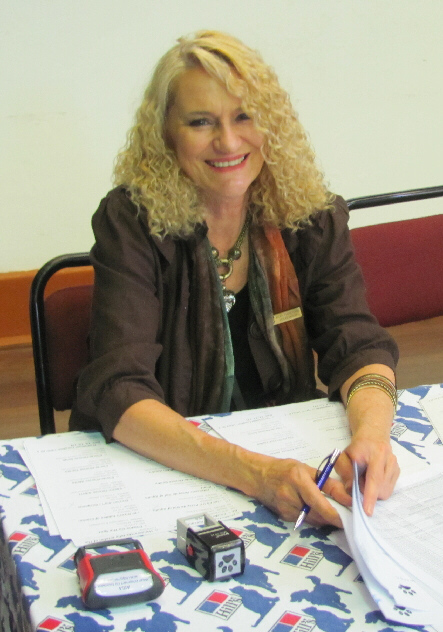 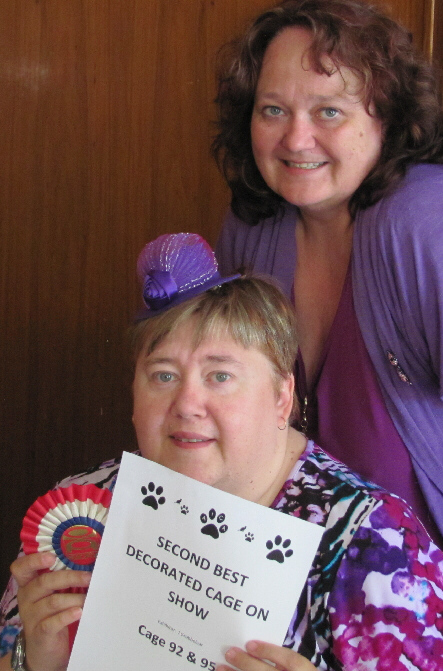 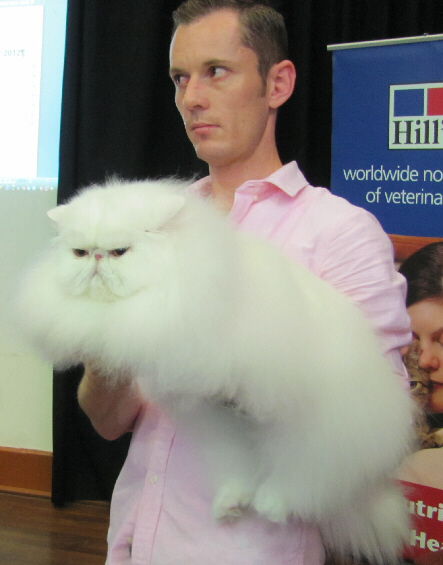 Tanya Milligan, WCF All Breeds judge visited from Gauteng and worked very hard to complete a very full book in time. 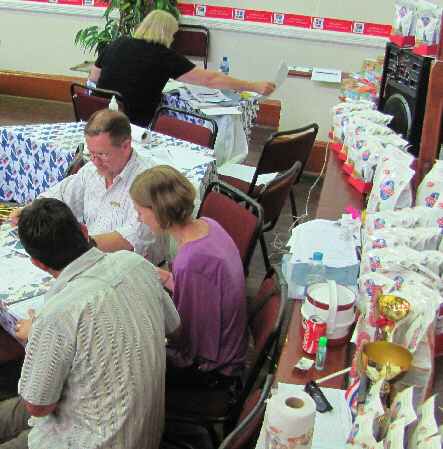 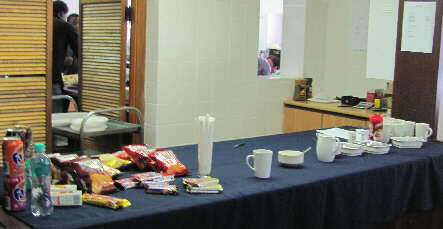 Catering was done by Russel Spargo and his team and this was enjoyed by judges, officials, exhibitors and vistors alike. 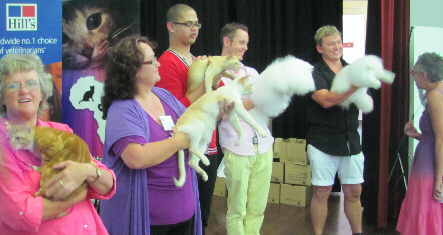 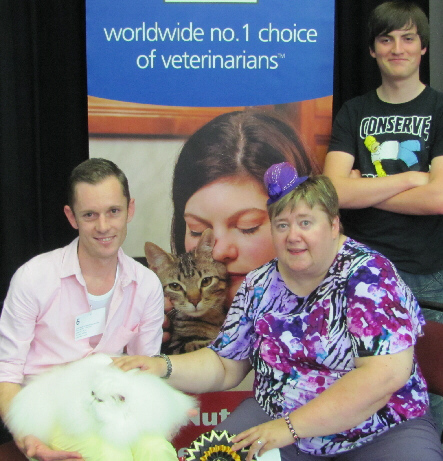 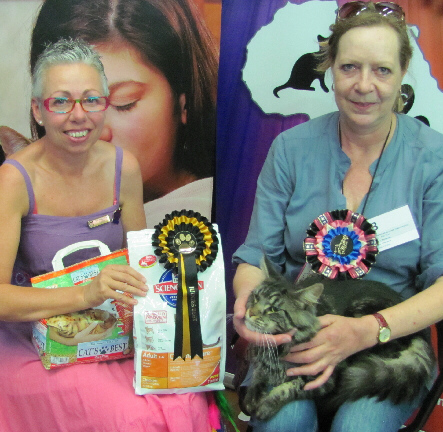 This time we allowed the judges to select two cats as Judges Best and it was a popular decision. 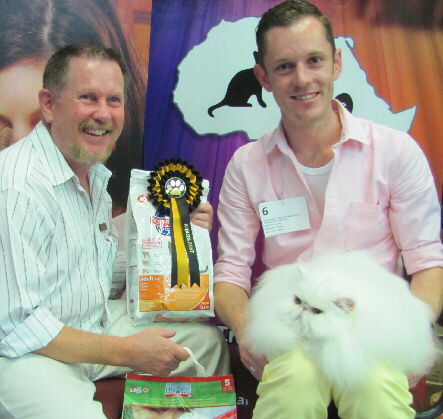 Our Best Overall winner of the day was a popular one, with the most impressive full Persian coat imaginable for the month of December. 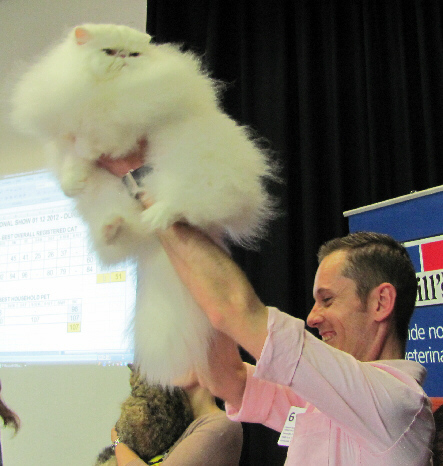 Congratulations, Gideon. 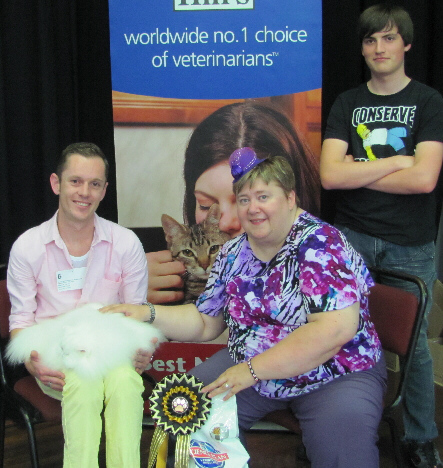 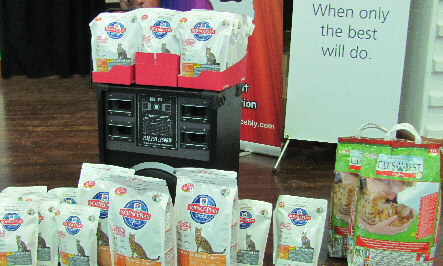 Thanks to Hills and Cats Best, who sponsored the prizes.